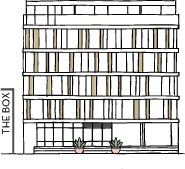 The Box could only rise in Riccione’s town center, in viale Milano 54. Opposite our property are Romagna’s most beautiful and popular beaches as well as the wonderful Piazzale Roma which year after year hosts shows and music events in collaboration with Radio DeeJay. Turning the corner, you will immediately find yourself in viale Ceccarini, the Riviera’s best known walk! Do you prefer to leave every worry at home and travel by train? It takes only 5 minutes on foot from the station but we can always arrange a shuttle transfer service if you carry heavy luggage. 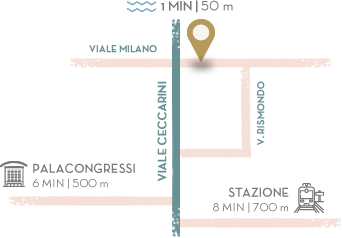 It lies only 13 minutes by car from The Box and is serviced by taxis and shuttles headed to Riccione. It lies only 50 minutes by car from Riccione and it is possible to book a shuttle or taxi to reach Ancona’s central station and then take a train to directly arrive in Riccione. 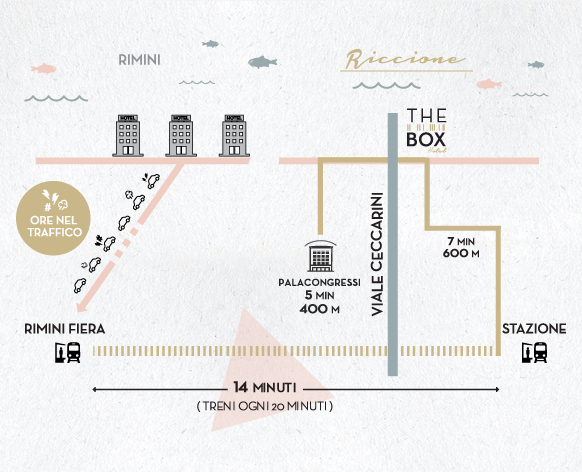 THE BOX IS LOCATED VERY CLOSE TO RICCIONE PALACONGRESSI DI RICCIONE AND RIMINI FAIR, WHERE THE MOST IMPORTANT BUSINESS MEETINGS AND EVENTS ON THE RIVIERA ARE HELD EVERY YEAR. ORGANIZE YOUR BUSINESS STAY AT THE BOX AND TAKE ADVANTAGE OF AN EXCLUSIVE LOCATION IN THE HEART OF RICCIONE. Are you passionate about on-the-road trips and prefer travelling by car? No worries, reaching us is easy and your car will be safe in our covered car spots.